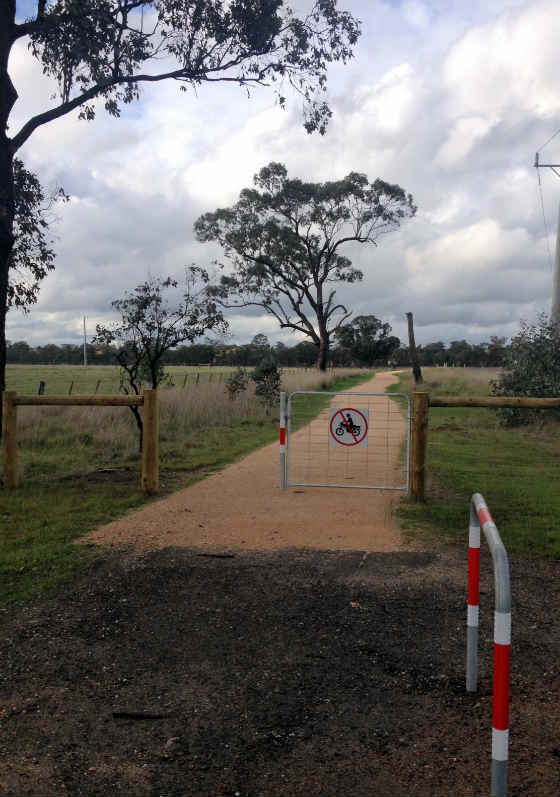 Much has been happening with the construction of new sections of the O’Keefe Rail Trail extension by City of Greater Bendigo Council contractors. Due to land use change (the golf course, a bluestone quarry expansion, and private land ownership) of the former railway reserve in the Axedale area, the extension of the O’Keefe Rail Trail had to negotiate much of this on its extension to Heathcote project. 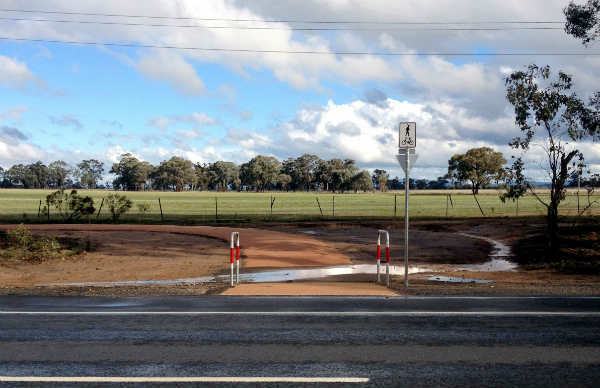 The total planned bypass of Axedale is nearing completion, with urban asphalt paths, new gravel surfaced sections, utilising the natural river environment, a new ‘tunnel’ under the highway, a new iconic concrete trail bridge across the Campaspe River, and now an ‘at grade’ crossing of the McIvor Hwy for the connection to the Knowsley Forest. Work on upgrading the planned trail route within the Knowsley Forest has not yet commenced, although this is expected to begin within the next 2-3 months. 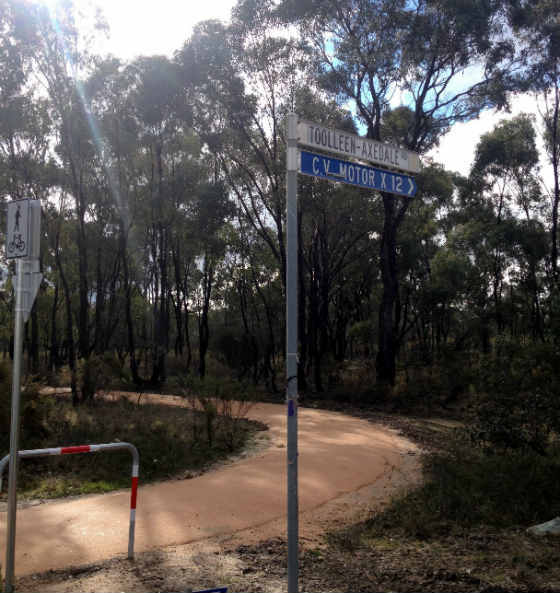 The trail’s Inghams Rd to Brownes Rd to Toolleen-Axedale Rd section of the Axedale area bypass is located within the McIvor Highway reserve, yet trail users will have good separation from road traffic. The crossing point for the trail with the McIvor Hwy will require care by trail users, as highway speed at this point is 100km/h. With good sighting vision available, this should provide a safe crossing point for the trail. Once the McIvor Highway is crossed, heading south, the trail is located within the highway reserve. This section leads to the edge of the Knowsley Forest, a place to watch for wallabies and other wild life. PS: There have been reports of recent sightings of platypus in the Campaspe River from the rail trail, a definate highlight if you are so lucky to do same while exploring the trail!